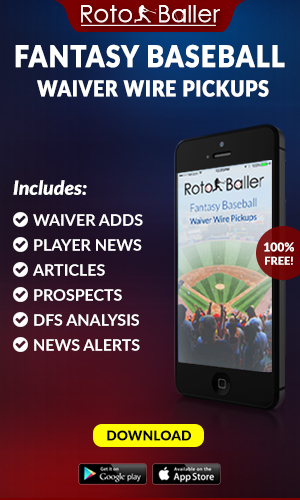 The most dormant weeks of the offseason have passed (thankfully) and the free agency process has produced a steady stream of breaking news and player movement that has altered the fantasy landscape. 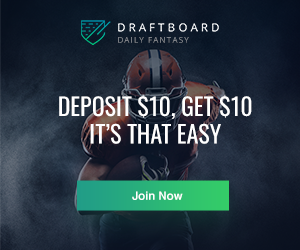 As the weeks unfold, more changes in destinations and expectations will repeatedly impact the decision-making of owners who manage rosters in Dynasty leagues along with anyone who is preparing for their next drafts in Best Ball and Redraft leagues. 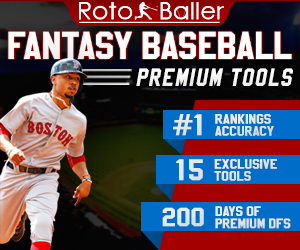 The team at RotoBaller is fully aware of your ongoing efforts to maximize the scoring potential of your rosters. 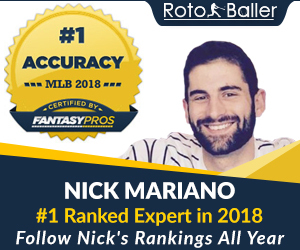 That is why we have been compiling statistics, analysis, and thoroughly researched recommendations as part of our unrelenting efforts toward helping you win your leagues in 2019. That includes this examination of early breakout candidates at the wide receiver position. These five players are viable candidates for a major statistical surge, due to a convergence of talent and opportunity that has placed them in position to elevate far beyond the tier that they were positioned in during 2018. San Francisco's reshaped backfield committee might be a nightmare-in-waiting for anyone who invests in their stable of runners. But the 49ers' have yet to make any roster additions that dramatically impact their depth chart at the wide receiver position, as Jordan Matthews represents the only new component among the team’s receiving weaponry. As a result, Pettis appears primed to function as San Francisco’s WR1 during just his second season. That will place him in position to build upon the momentum that he had established in Weeks 12-15 when he accumulated 338 of his 467 yards (84.5 YPG) along with four of his five of touchdowns. Pettis had only been targeted eight times between Weeks 1-9, but collected 37 from Weeks 10-16 (6.2 per game), while accruing seven in three straight contests. An MCL injury prematurely ended his season in Week 16, but the prospects of having Pettis flourish throughout an entire 16-game schedule should provide enormous motivation to target him during your drafts. He should also benefit greatly from the reemergence of Jimmy Garoppolo, who only connected with Pettis on three passes in 2018. He will also have the chance to capitalize on the extra attention that should be dedicated toward containing George Kittle. Opposing defensive staffs will have been presented with an entire offseason to dissect how to neutralize Kittle in the aftermath of his unquestioned breakout year (136 targets/88 receptions/1,377 yards). Any strategy that is designed to constrain his output should open space for Pettis, and increase his chances to flourish. Pettis is not currently contending with any formidable competition for WR1 responsibilities among other 49er wide receivers. Beyond Marquise Goodwin's 126-yard, two-touchdown performance in Week 6, his sixth-professional season was impacted by multiple injuries (quad/hamstring/calf) as Goodwin only surpassed 55 yards in one other contest. Neither Matthews or Kendrick Bourne pose a genuine threat to commander greater usage than Pettis and Pierre Garcon has been jettisoned from the roster. Opportunities for Pettis will remain frequent throughout 2019. When that is blended with his route running acumen, and his potential to explode for big plays, then the perfect mixture exists for him to deliver a breakout season. Moore's enticing combination of size, athleticism, and speed compelled the Panthers to select him 24th overall in the 2018 NFL Draft. He eventually assembled an encouraging collection of numbers despite playing on just 38.5% of Carolina's snaps from Weeks 1-7. That percentage improved to 89% from Weeks 9-17, which coincided with a rise in output as the season advanced. Moore had only averaged 2.4 receptions-per-game and just 37 yards-per-game from Weeks 1-9. But that expanded to 4.6 from Weeks 11-17, while his YPG average rose to 67. Moore’s increased role was also instrumental in his ability to lead all first-year receivers with 960 yards from scrimmage, which was the second-best total in Carolina franchise history. But arguably Moore’s most noteworthy achievement was leading all wide receivers with 7.9 yards after catch per reception according to Next Gen Stats. He also finished second among first-year receivers in targets (82), receptions (55), and yardage (788). The significant increase in his targets and production as the year progressed now transitions fluidly to an accessible path toward functioning as Carolina's WR1 in 2019. Moore gradually assumed those responsibilities during 2018, when his expanding role corresponded with a significant decline in usage for Devin Funchess. The four-year veteran's 84% count from Weeks 1-11 plunged to just 32% in Weeks 13-16, and a large percentage of the 79 targets that Funchess attained last season should be earmarked for Moore. In addition to the yardage that he will accrue when operating outside, Moore’s ability to exploit overmatched defenders from the slot provides the Panthers with the option of lining him up in multiple formations. Moore also presents owners with the potential to accumulate yardage on the ground, after he finished second among all receivers in rushing yards last season (172). Moore’s projected surge in output is predicated on having a healthy Cam Newton spearheading the Panther passing attack, and Moore’s target total may not match the number that will be commandeered by Christian McCaffrey. But Moore should function as a high-end WR3 with the clear potential to ascend even higher. Godwin’s numbers were respectable last season, as he tied for 13th in touchdowns (7), finished 37th in receptions (59), and was also 26th with 842 yards. But an upward trajectory to his career appears imminent, as Godwin should eclipse his 2018 production this season. That should occur as the result of the massive runway that has been cleared for him to run routes as the WR2 with the Buccaneers, after the collective departures of DeSean Jackson and Adam Humphries. This has presented Godwin with a tremendous opportunity to experience a substantial increase in value during his third season, as a large percentage of the 179 targets that Jackson and Humphries collected in 2018 will be reallocated to Godwin. He did garner 10 targets in two different contests last season. But the presence of Mike Evans and Tampa Bay's other receiving weaponry led to unpredictable usage, as he also failed to surpass four targets in six different games. He was deployed regularly in the red zone during 2018, as he collected 16 targets and tied for third among all receivers with 11 targets inside the 10. But his potential to stockpile targets near the goal line will expand even further. as many of the 19 red zone targets that were allocated to Jackson and Humphries should now be designated for Godwin. Godwin’s production during the four games in which Jackson was unavailable last season does not reveal a discernible pattern, even though he collected 12 receptions, generated 228 yards, and produced three touchdowns during those matchups. Those numbers were built with erratic weekly results, as he accrued 11 catches, 215 yards and all three touchdowns in Weeks 13 and 17, while those contests were interspersed with two abysmal performances in Weeks 14 and 15 (1 reception/13 yards). The varying results are not necessarily a concern since he will be operating in a totally different offense this season. 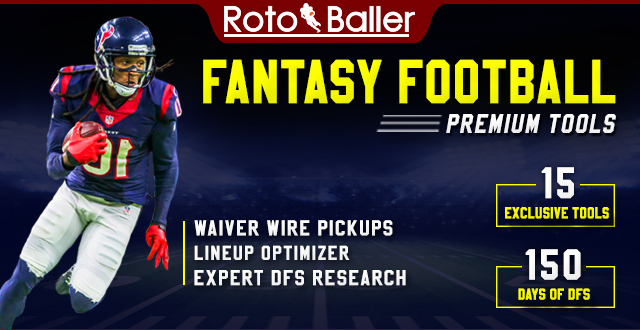 While it is conceivable that Justin Watson will siphon some targets, Godwin presents the upside to function as a low-end WR2 for owners, as he ascends into a more prestigious tier. Williams did not present the Chargers with a sufficient return on their investment during his injury-laden 2017 rookie season, as a lower back issue limited him to 10 games, 11 receptions, and 95 scoreless yards. But he rebounded sizably in 2018, primarily through his propensity to generate touchdowns. Williams tied for fifth among wide receivers in this category (10), although his numbers in other critical areas were not as impressive. He only finished 47th with 664 yards and was just 53rd with 43 receptions. While that output placed him second on the Chargers in yardage and third in receptions, his production could rise significantly in both categories this season, even as he encounters the difficult challenge of replicating last year’s touchdown total. Tyrell Williams will be running routes for division rival Oakland after signing a four-year contract, which releases the 65 targets that he procured in 2018 for redistribution. That should result in a hefty increase in opportunities for Mike Williams, who finished 63rd last season (66/4.1 per game). Tyrell Williams also played on 761/76.5% of Los Angeles’ offensive snaps, while Mike Williams was deployed on 139 fewer snaps (622/62.5%). That count should rise, as could the number of red zone targets that he is allotted. Any surge in opportunity near the goal line would be more incremental, as Mike Williams trailed Keenan Allen by just one last season (15/14), while Rivers targeted Tyrell Williams seven times inside the 20. While Mike Williams accumulated double-digit touchdowns in 2018, the potential for variance in this category would suggest that it is hardly a given that he can achieve that once again. But both his red zone opportunities and overall target totals should climb. When those are combined with the probability that he will develop into a more complete receiving weapon during his third year, then the prospects of a breakout season rise. Kirk's promising rookie season was concluded abruptly in Week 13 by a broken foot. But that still provided a sufficient sample size to determine that he can emerge as a highly productive member of the 2018 class. Not only was Kirk performing as Arizona's most dynamic receiving weapon throughout a large percentage of the season but he was also the Cardinals' most effective playmaker. That was partially a byproduct of the ill-conceived strategy for deployment of David Johnson, but Kirk's value to the Arizona attack is unquestioned. Kirk entered Week 14 with 68 targets, which placed him second to Calvin Ridley in that category among all first-year receivers. He had also captured 6.2 targets-per-game during his final five matchups (Weeks 8-13), which had improved his season-long average to 5.7 per game. Kirk had also assembled 43 receptions (3.6 per game) and accrued 590 yards (49.2 per game) before his health issue, which placed him on pace to garner 58 receptions for 787 yards. That would have paced the Cardinals in receiving yardage, while his numbers would have placed him third among rookies in receptions and yardage. The inadequate planning and decision-making of last year's coaching staff set the offense on a collision course with total inadequacy, and the Cardinals finished dead last in total offense and scoring. But the primary culprits that were responsible for that forgettable debacle have been removed as part of the transition to Kliff Kingsbury's air raid approach. This should present Kirk with an opportunity to flourish, as he runs routes alongside a receiving unit that is currently comprised of Cardinals' depth chart at wide receiver is currently comprised of soon-to-be 36-year-old Larry Fitzgerald, Chad Williams, and 2015 first-round pick Kevin White. Regardless of how Kingsbury concocts an NFL version of his attack, it should contain numerous four-receiver sets that can benefit from Kirk's strengths - which include his favorable footwork, and dependable hands. If Arizona opts to secure Kyler Murray with their first overall draft pick, then Kirk's potential to accumulate excellent numbers elevates even further. Any incremental improvement at the quarterback position can boost Kirk's opportunity to approach 1,000 yards, and deliver a sizable increase in his reception total.